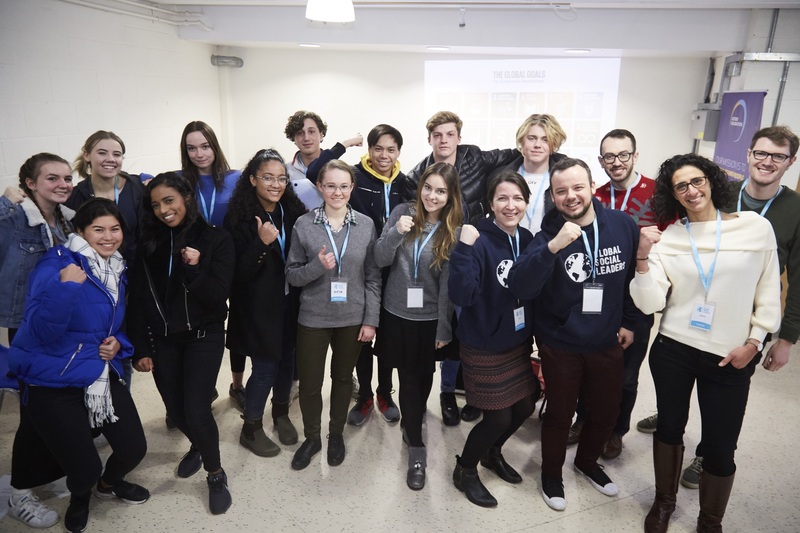 This Saturday we launched the inaugural Future Festival at the Devas Club in London with a special Global Social Leaders Society LaunchPad event attended by students from Wellington College, Kensington Aldridge Academy and Wimbledon School. 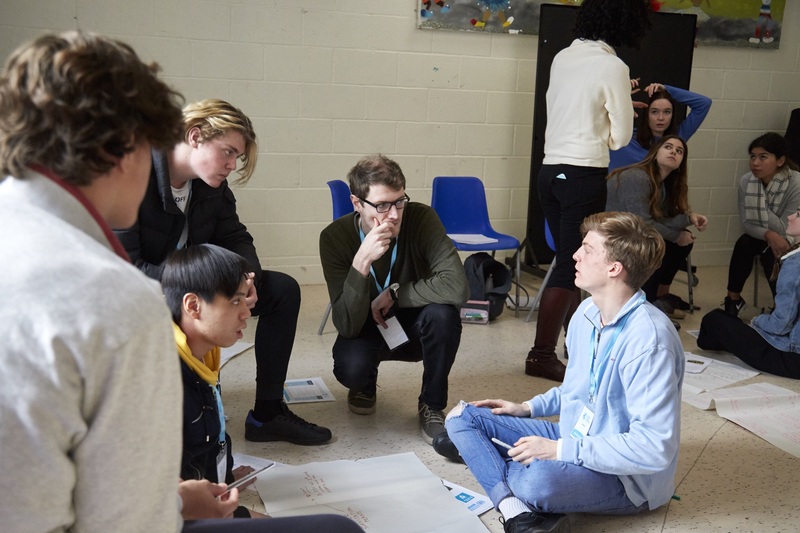 The morning of training saw sixth formers come together to explore what positive impact they can have locally, as well as developing an understanding of some of the global challenges we face now and will in the future. Participants were led by dynamic and inspirational facilitators Jakob Guskinny, Mark Corbett and course directed by Amy Mander. 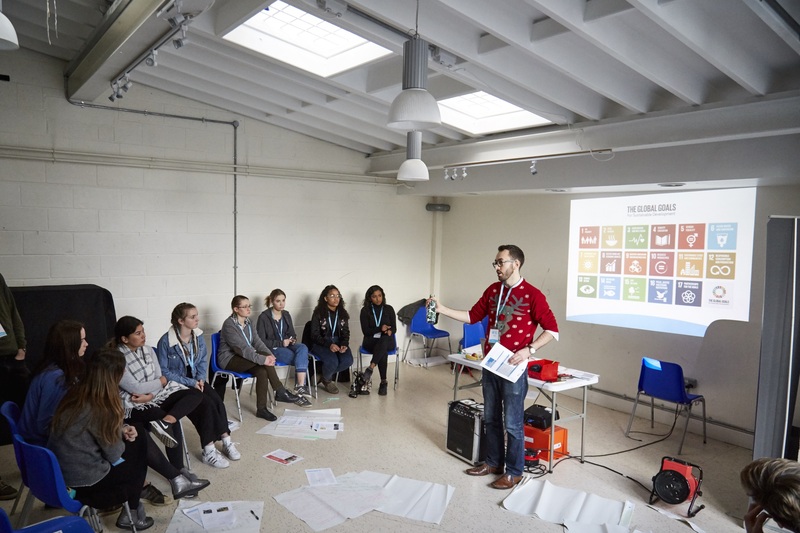 The main objective of the day was to develop leadership skills, nurture confidence and empower participants to go on and lead successful social action projects inspired by the United Nations Global Goals. In order to achieve this, Future Foundations provided a comprehensive programme that explored concepts of leadership and encouraged students to not only identify, but to create solutions to the challenges we face in society. The day began with a motivational plenary by Future Foundations’ CEO Jon Harper, which was themed around self-leadership and that we are all leaders in our right. He framed the day around the idea that the concept of leadership is not a big thing that exists outside of us, but something that we all already have inside. He challenged students to think about their comfort zones asking ‘Who wants change to happen?’ and ‘Who is willing to change?’, which saw some of the students identifying themselves as leaders right from the start. Something we whole-heartedly encourage! The morning consisted of a combination of group workshops exploring microfinance initiatives, presentations on the UN Global Goals and experiential activities to help them identify issues they are passionate about and what approach they take as leaders when working through a team challenge. A particular highlight was the Microfinance Challenge, where they had to come to a consensus over which entrepreneur from the developing world they would support if they had the funds. The afternoon then consisted of the students ‘Making it Happen’ where they brainstormed their ideas for projects. They split into GSL Society groups and pitched their social action project ideas, which all focussed on sustainable development goals; Water, Hunger and Gender Empowerment. All of the students demonstrated that they had the skills, capabilities and passion to bring about social change. We eagerly await news of how they get on with developing their projects in the New Year. What can you and your school do to help bring about social change in your local community?